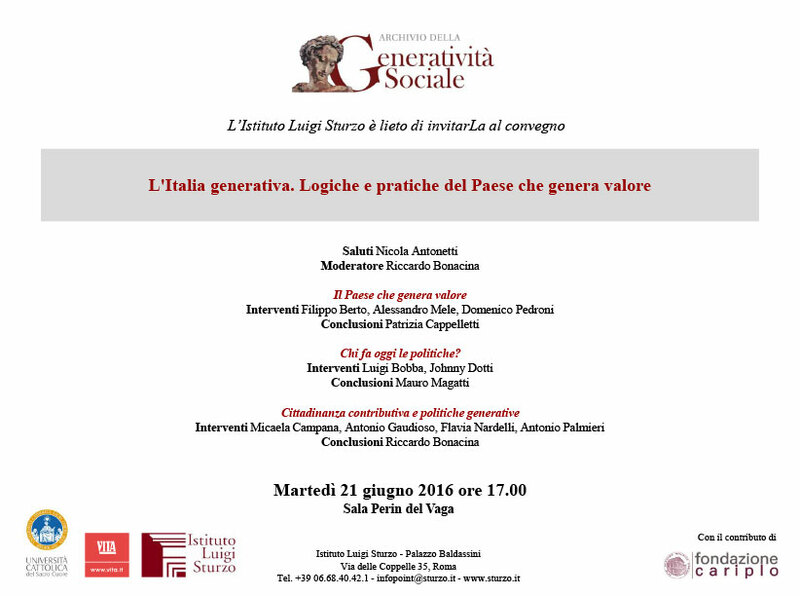 On Tuesday, 21st June, at 5.00pm Filippo Berto will take part in the meeting “L’Italia generativa. Logiche e pratiche del paese che genera valore” (Generative Italy. Logics and practices of a generative country) to describe the BertO case study. We have already cooperated with “Archivio della Generatività Sociale” and this meeting will involve businessmen and artisans from all over Italy, volunteers and public administrators who have planned “new locations” where it is possible to experience new ways of cooperation and to share new values and meanings. Italy is able to face all future challenges, we are aware of our projects and know how to get there. We just have to find a new development model to face this current crisis, but, above all, we have to find out a new anthropology, a new sense for our social lives and our way of living. After the welcome greetings by Nicola Antonietti, the meeting will highlight three main themes. -“Chi fa oggi le politiche?” (Who is deciding politics today?